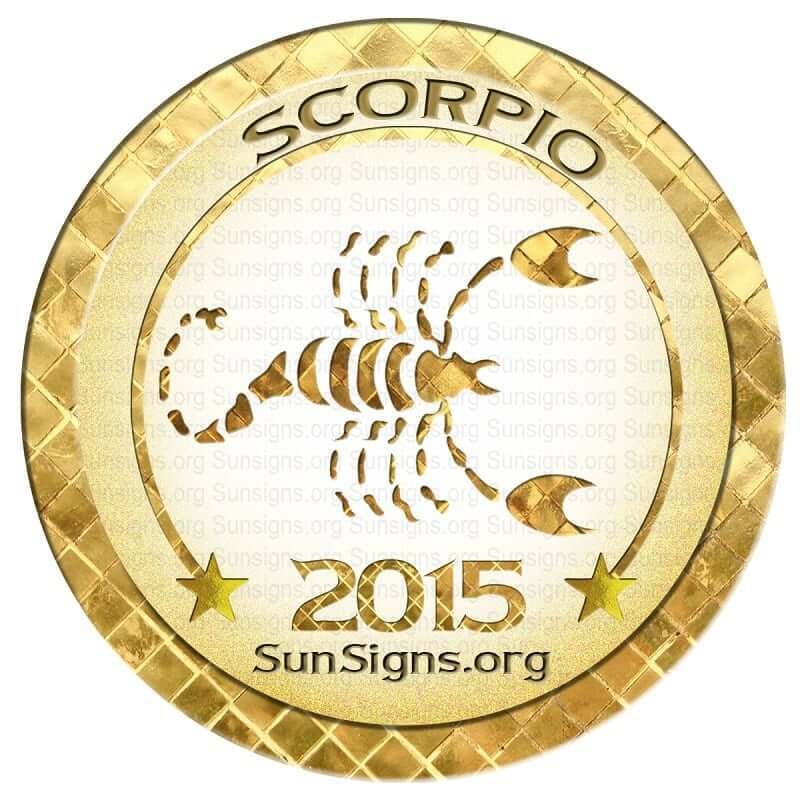 For the Scorpio 2015 will be a year that brings significant change. The Scorpio horoscope 2015 forecasts that there are big rewards around the corner, but you have to work for them. 2015 is a time to go outside of your comfort zone and try new things. You are often your own biggest critic, Scorpio, and in 2015 you need to learn to overcome that. You have worked hard for a number of years and suffered numerous setbacks. But things are about to change for the good, you just have to be ready to accept them. You need to let go of your self-doubt and insecurity and recognize all that you have to offer the world. The Scorpio star sign will be taking stock of everything in your life that needs improving and getting rid of the things that just aren’t working. These changes may seem daunting, but you’ll be happier because of them. The Scorpio 2015 love forecasts predict that your romantic relationships aren’t the only ones that are going to be tested. This year you are cutting a lot of dead weight from your life Scorpio and that includes that friendships that just aren’t working any more. In 2015, you’ll find a lot of your focus is on deep, meaningful friendships and any friendships that don’t fit those criteria can be cut lose. There will be opportunities this year to meet new people. But other than a few people that you instantly connect with, your focus will be on those few friends who have been with you through thick and thin and will never let you down. In the past you have felt like your hard work has not been appreciated, but that is about to change. 2015 should bring new acknowledgement from your superiors as well as exciting new opportunities foretell the Scorpio career predictions 2015. To fully capitalize on these exciting new opportunities you are going to have go outside your normal comfort zone and bring your networking to a new level. You tend to have a reserved nature and wary of putting yourself out there on the personal level, but if you want to reach a new level of success, you’re going to have to make some changes. Scorpio, you have decided that this is the time to improve your knowledge and skill-set. This is a good time to think about going back to school, learning a new skill or taking on new tasks at work. In 2015 you will find yourself hungry for knowledge and eager to learn. You want to be the best you possible and that means improving your mind as well as your body and spirit. Your finances, which have likely been tight these last few years, Scorpio, will be on an upswing in 2015. Maybe you will be finally paying off that student loan or finish with your car payments or your children have graduated out of daycare. Whatever it is, the Scorpio money horoscope forecasts that by the end of 2015 you should see an influx of cash and this will make things much easier on a day-to-day level and give you some extra breathing room. You feel great this year, Scorpio or so foretell your health 2015 astrology predictions. You’ve managed to cut back on a lot of the stress that was in your life previously. You’ve gotten rid of a lot of the negative energy in your life and it shows. Mentally you are flourishing and you are making sure to pay attention to your physical health, because you want to keep feeling great. Your personal relationship are likely about to undergo some major changes this year Scorpio. Your attempts outside your comfort zone and trying to expand your possibilities will have an impact on your personal relationships. You will be more aware of the limitations in your existing relationships and you will either decide to fix the problems or you will cut your losses, either way you will be happier for it. There are so many opportunities open to you this year Scorpio, you just have to work for them. A lot of this involves going outside your comfort zone, but is also means actively trying to improve yourself on a daily basis. Challenge yourself to try something new every day, even if it’s simple as a new type of coffee. This will help you expand your boundaries and comfort zone. This can allow you to be open to all kinds of new opportunities that you may have normally missed predicts the 2015 Scorpio astrology. Scorpio travel horoscope 2015 forecasts that you might relocate to a calmer location for health reasons. Travel for jobs and business is also on the cards. Things are on up-swing for you in 2015 and this begins in January in the form of new recognition at work. In February you will need to give some attention to your home as well. In March, your romantic life with heat up and you will find yourself looking at your partner in a new light. Your romantic life will go to new heights through April, where fill find yourself having to make some big decisions. May will be an ambitious month. Take care of your health. Your family will need your help. June will bring changes on he career front. Health will improve. Romance isn’t the only thing you will be making decisions about. In July you will be given some new opportunities career-wise and while they may have a little bit of risk attached, they may also offer huge rewards if you’re willing to follow through. In August, new people will be entering your life and while some of these connections may be fleeting, you’ll may make a few life-long connections in these months. You could also make some profitable business connections. By September, your romantic life will have settled a bit. Relationships for the Scorpion that weren’t working have been ended, if a new romance was on your horizon it has likely already started, and existing relationships have entered a new stage of romance and understanding. From this point on you should be facing calm waters romantically-speaking. October will be the beginning of another new cycle in you life. Rectify your mistakes and start afresh. November will see some financial problems. Health will be good. Relationships will need to be nurtured. 2015 will end on a quiet note in December. The changes you have made this year will stay in affect and your life is adjusting to its new state of normal. For those born under the zodiac sign of Scorpio, 2015 will be a very intense year. The 2015 Scorpio horoscope forecasts that this year will bring big changes, both professionally and personally. It will challenge the Scorpio’s natural inclinations. There is a promise of great things, but achieving them may require personal sacrifice. So be prepared for it!